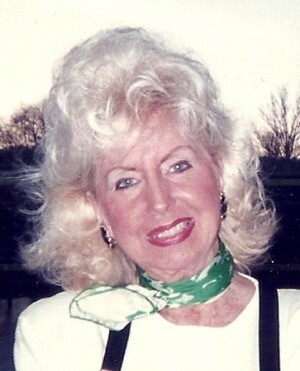 FULTON, NY – Janet M. Thompson Bonanno, of Fulton, passed away peacefully at home on Saturday July 13, 2013. She was born in Hannibal and lived all her life in Fulton. Janet was the owner of Carriage Trade Interiors in Fulton for more than 30 years. She was a communicant of Holy Trinity Catholic Church. Janet enjoyed traveling and spending time with her family and friends. She was predeceased by her husband, Joseph Bonanno, who died in 1987. Janet is survived by three children, Patrick Joseph of San Francisco, Nanette (Joe) Hardiman of Sloatsburg, NY, and Peter (Tamie) Bonanno of Fulton; a sister, Carole Sollars of Baldwinsville; two granddaughters, Bridgid and Katie Hardiman of Sloatsburg, NY. Calling hours will be held 6 to 8 p.m. Friday at Foster Funeral Home, 910 Fay St., Fulton. A Mass of Christian Burial will be 9:30 a.m. Saturday at Holy Trinity Catholic Church, corner of Rochester and South Third streets, Fulton. Contributions in Janet’s memory may be made to the Oswego County Humane Society, Inc., 265 W. First St., Oswego, NY 13126. Peter, Pat, and Nan, Sorry that Guy & I can’t be with you today. I loved your Mom. She was a great aunt, friend and godmother. We had many interesting conversations – some funny and some very serious. I will miss her very much. I wish all of you the best in life. Also, Mike & Judy aren’t able to attend due to other obligations. They are thinking of you, also. pete just found out about your loss.so sorry.if there is anything i can do let me know.prayers are with you.